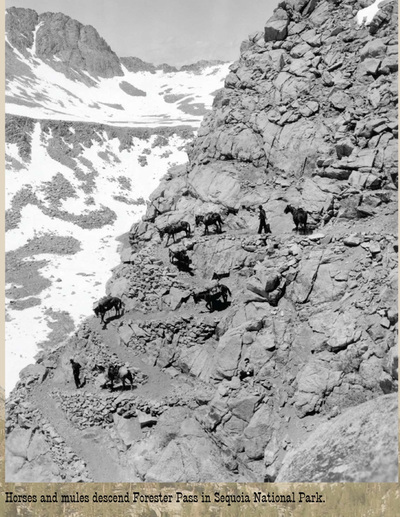 Able to carry heavy loads over rugged terrain, mules played an important supporting role in the discovery, exploration, and development of Devils Postpile, Sequoia, Kings Canyon, and Yosemite National Parks. By 1860 people began to settle Yosemite Valley, plant orchards and hay meadows and establish hotels to accommodate tourists. 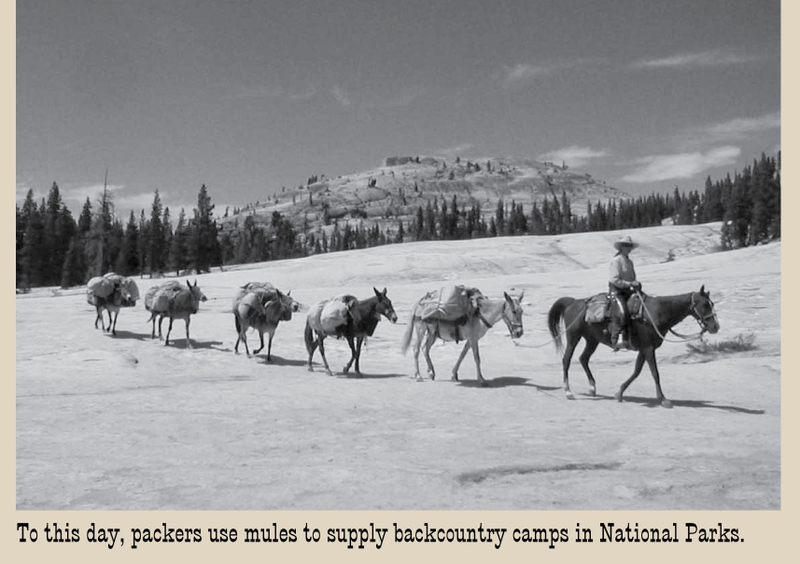 Since all of Yosemite was roadless at the time, supplies and equipment were packed in on mules. In 1864 James Hutching bought the Upper Hotel and supplied it with a pack train of one hundred head. Hutching’s horses and mules were the beginning of a tradition of tourist stables in Yosemite Valley. Mules were crucial to early road building efforts in Yosemite, Sequoia, and Kings Canyon National Parks as well. 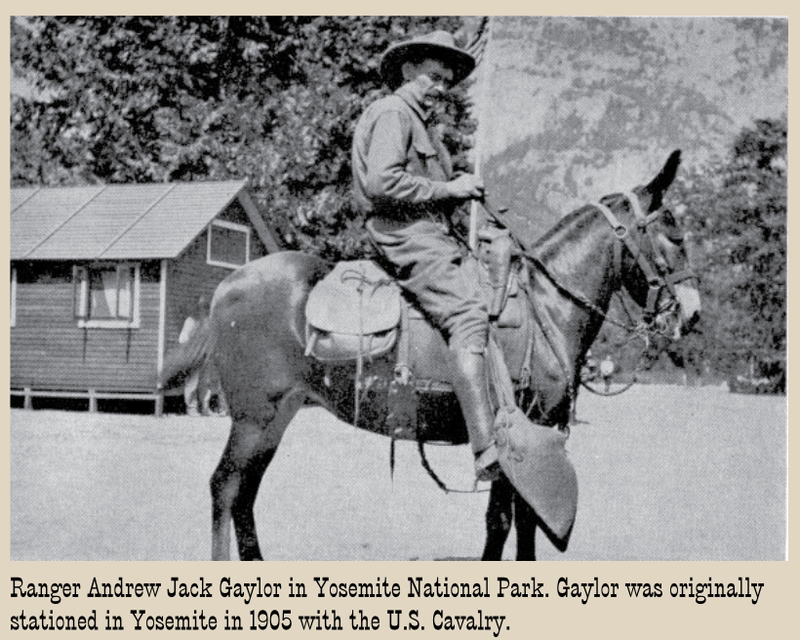 In 1891, the U.S. Cavalry became the stewards of Kings Canyon, Sequoia, and Yosemite National Parks. Accompanied by military pack trains, the troops left the Presidio in San Francisco in May and rode to the Sierra parks to begin their summer patrol. 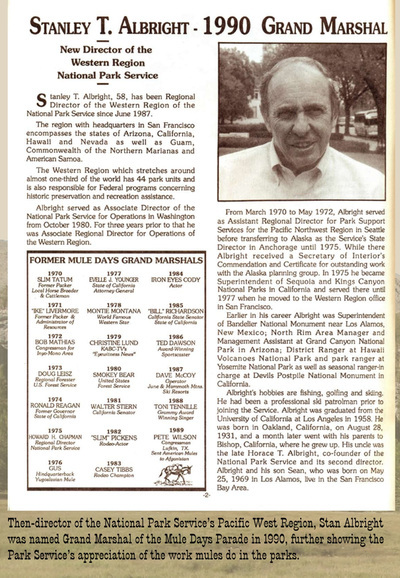 By early October they would make the long trip back to the Presidio. The mules were critical in carrying supplies for the Cavalry during their time in the parks. Mules continue to play a vital role in protecting and bringing people to parks. 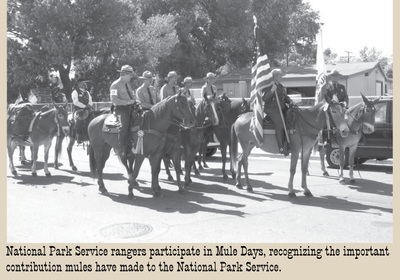 Mules support trail crews, wilderness rangers, backcountry utilities, fire suppression, and search and rescue efforts. 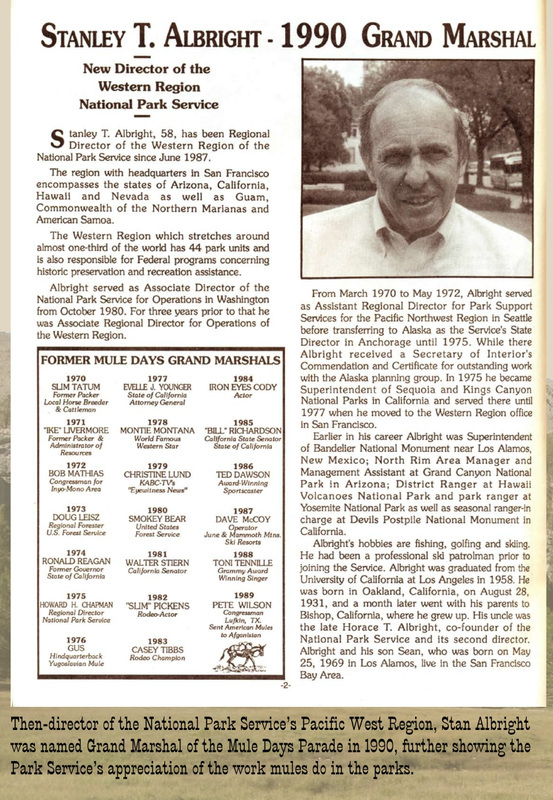 Mules have helped create the national park landscape visitors enjoy today and continue to play a vital role in the parks.